The HEKS/EPER Regional Office Aargau/Solothurn sees itself as a practice-oriented counselling and service entity that advocates with great professionalism on behalf of deprived groups in our society. The needs of the socially marginalized are effectively being met by providing social and legal services and cooperating with other aid agencies, government authorities and private institutions. 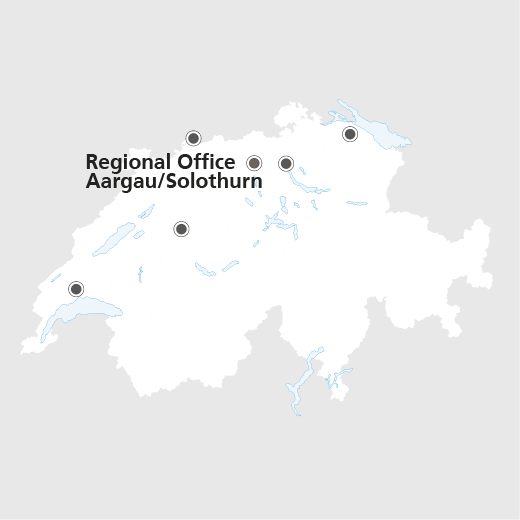 Important priorities in the work of the Regional Office are legal advice for asylum seekers and the socially disadvantaged, and the social inclusion of refugees, migrants and Swiss citizens experiencing poverty. Through its interpreting service, the Regional Office also facilitates contact between foreign language speakers and institutions concerned with health, social and educational matters. HEKS/EPER Triangle SO is a three-pronged job integration programme for unemployed persons in the Canton of Solothurn.